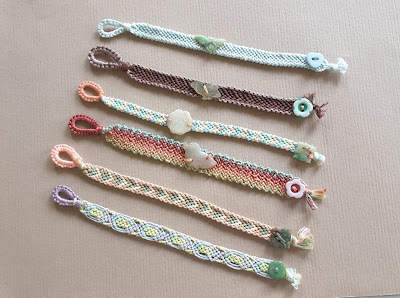 Combining my love for braiding and my love for quirky pieces of old jade I have, over time come up with more braided bracelet items. Each bracelet was painstakingly hand knotted by me and each antique jade ornament just as tirelessly hand carved by craftsmen from long ago. 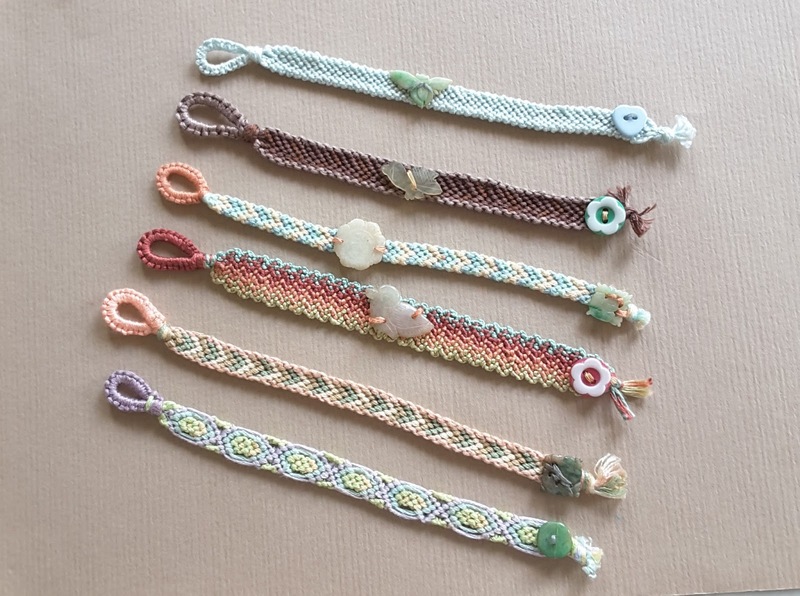 I used embroidery floss and braid patterns like Chevron, Chevron with border, Egyptian and Knitted to knot the bracelets. Tiny, flat jade ornaments were then added as a centerpiece or as a closure after the bracelets were completed. 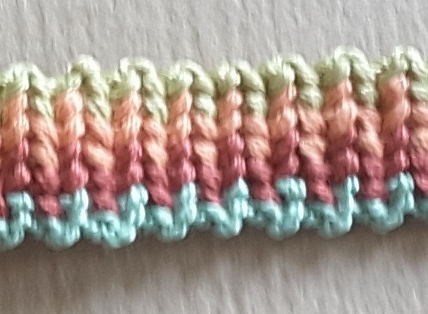 Chevron with border is a variation of the chevron pattern. 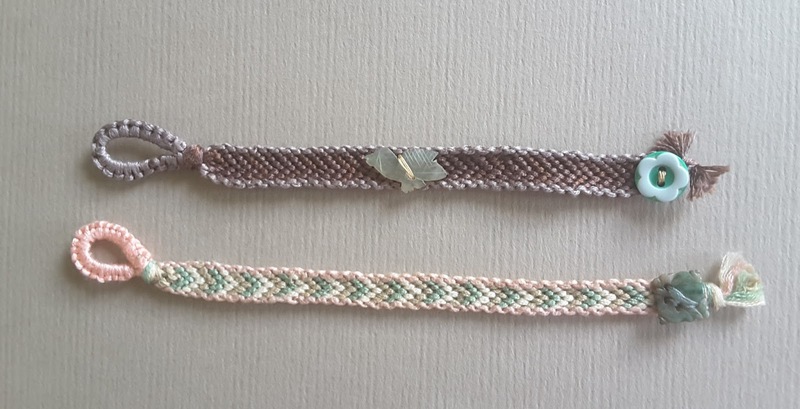 The two bracelets shown below were made to this design. 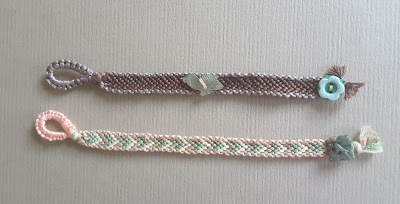 Last two bracelets were made with more complicated Egyptian and Knitted designs. Compared with the mass produced stuff of today my self crafted, personalized accessories are real neato !